Voir les résultats lus par "Kai Morgan"
It's a tale of survival, of love, and of hope, with great action and "WTF is next" tension. Survivors of a zombie apocalypse, with no survival skills whatsoever, learn as they go along. 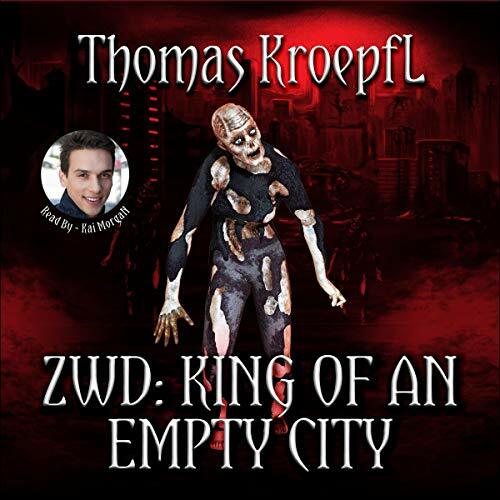 Debut author Thomas Kroepfl takes you on an exciting adventure with believable characters in a horrific setting, facing real problems and overcoming them, in addition to fighting the undead. Noah Potter has come to Hong Kong to find his missing sister, Lianne, who disappeared after leaving him a voice mail pleading for his help. Unfortunately, the Hong Kong police are unwilling to help him, so Noah has to find her himself. Noah's search for his sister brings him across Wei Tseng, leader of the Dragons, a group of dedicated men and women willing to do whatever it takes to keep their district safe from the violence and triads that plague the rest of the city's underworld.